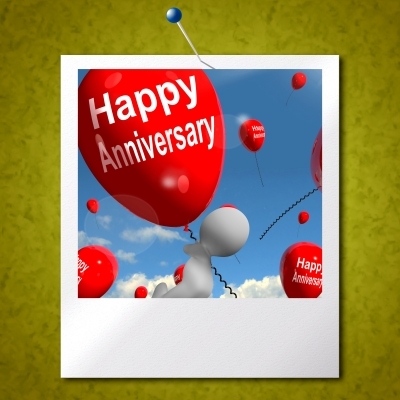 Getting to the date of our anniversary is something very special, as it is a whole day dedicated entirely to celebrate the nice relationship we have with our partner. Not only are we celebrating love itself, but also the whole journey we have had together, the good and the bad things, but mostly what we have learned together. Not everything has always been pretty and perfect, it has not always been just laughter and happiness, but it is precisely the ups and downs that allow us to learn more of the other, to know how to approach and how to deal with difficult situations when they arise. So taking all this into account, we must never let the opportunity pass to make a toast with her for all the beautiful things we enjoy, expressing your feelings to her in the most profound possible way, it does not have to be a text of an exaggerated length if you writes it from your heart. We want to give extend to you our warmest congratulations for this important milestone day in your relationship. It is wonderful to find someone, to love him and to be loved back, especially in this difficult time in which we live. If you liked this page you can help us by giving us a “like” on facebook, G+, twitter. Also if you want you can help this website by sending your anniversary texts , and will be published, others friends will thank you .